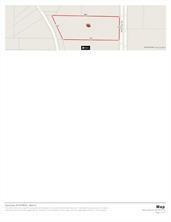 This prime location acreage in Murphy is ready for commercial use and development. Approximately (plus or minus)6 acres total, 2 parcels (5.0559ac and 0.9ac per tax role) are being offered together for sale. Heavily treed with creek running through West border of the property. Seller occupies home on the property and will vacate the existing home and storage buildings as soon as possible after closing and funding. Please respect seller's privacy. From the intersection of FM 544 and McCreary Rd in Murphy, go South on McCreary approx quarter mile. Property is accessible from McCreary Rd, entry at For Sale sign directly across from the Target Store. Seller occupies home on the property - please respect their privacy.